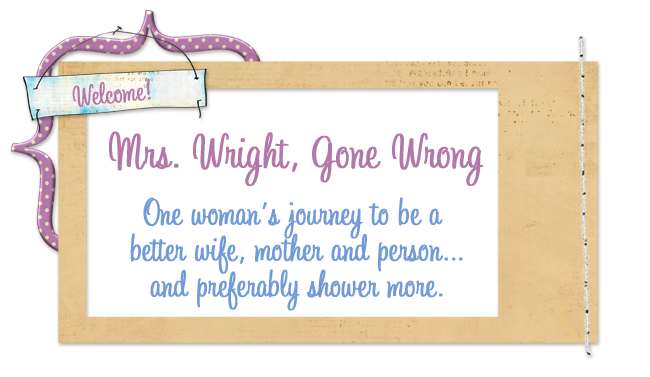 Mrs. Wright, Gone Wrong: Friend Makin' Monday! I love the Biggest Loser and I would have to say the hubby does as well. I forgot about the Ultimate fighter we tend to watch that as well. Thanks for sharing I enjoy your blog and think I may stop by often! Happy FMM. I love PP & GA- I am dying to know what will happen to Violet!! Love, love, love the Biggest Loser and I can't wait to watch it tomorrow night! I agree about Community, I am a Soup fan too and so I am hoping for the best on this one! Good list! I know, I have been wondering about Private practice all summer too! I love the biggest loser too!! I like to watch it while I polish off a bag of potato chips. lol. just kidding.. kinda. I'm a huge Biggest Loser fan! Love your blog! I ♥ the first 3 on your list! Community looks funny, so I'm sure we'll be checking it out. The last one...........probably not, lol. One of my favorite things about fall is the new episodes too!! Can't believe I forgot that on my list too! I just saw on Perez Hilton the teaser for Grey's...I was tempted but just can't watch it yet! How was it? Is it as good as I hear it is? I like a lot of reality tv. By the way I think this is my first visit to your blog, I am looking for followers at any (or even all) of my blogs so feel free to go on over and say hello and follow my blog(s) and I'll be sure to return the favor!